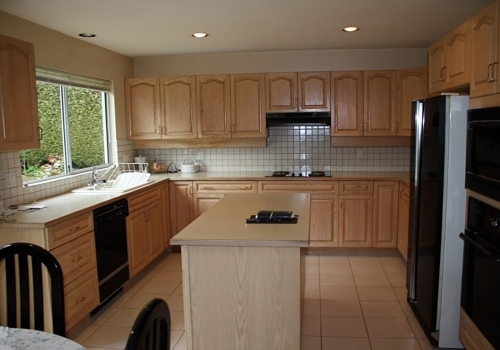 This 70’s kitchen needed an upgrade to improve its function and looks! 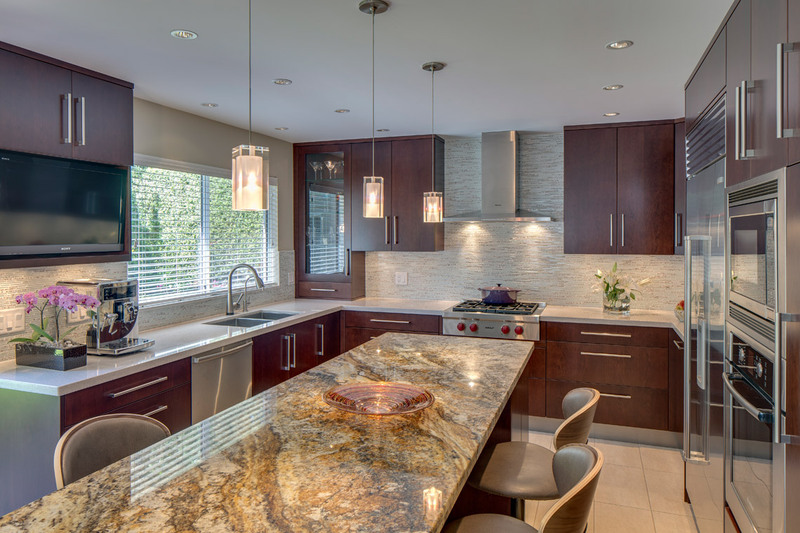 Redl Kitchen Studio provided the optimal design solution for this home. 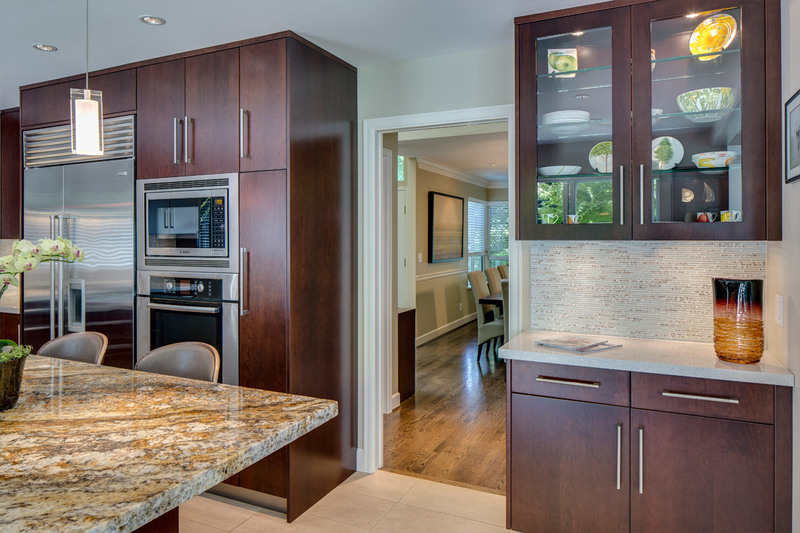 By removing the cabinets and previously under-used nook, we were able to completely change the interpretation of this space. 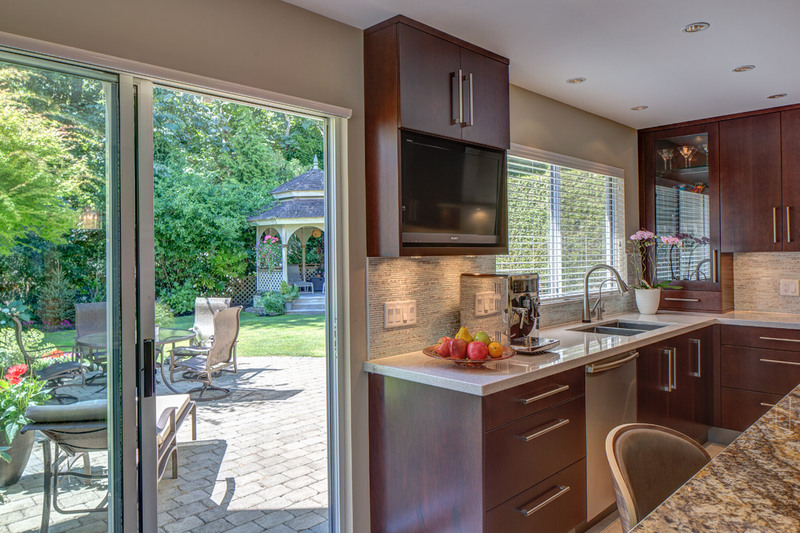 By removing the fake post and railing separating kitchen from front room, not only does it appear more spacious but also improved traffic flow. 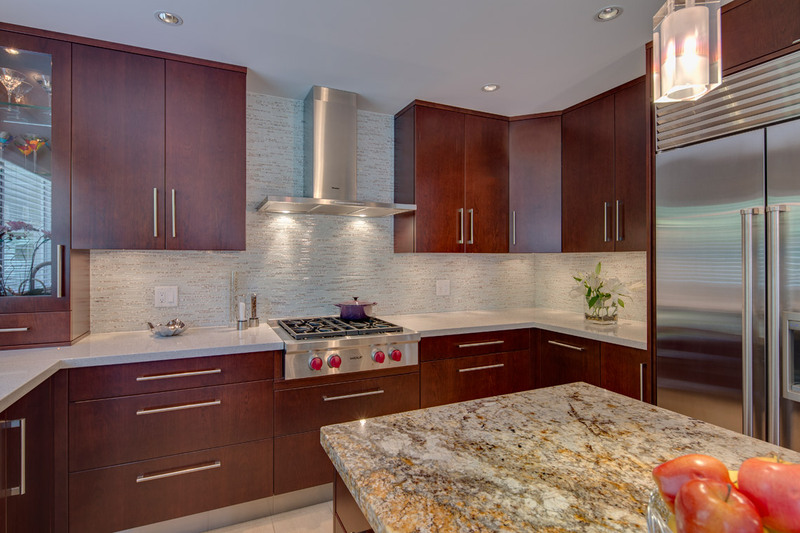 A new ceiling contains the potlights and contemporary pendants. 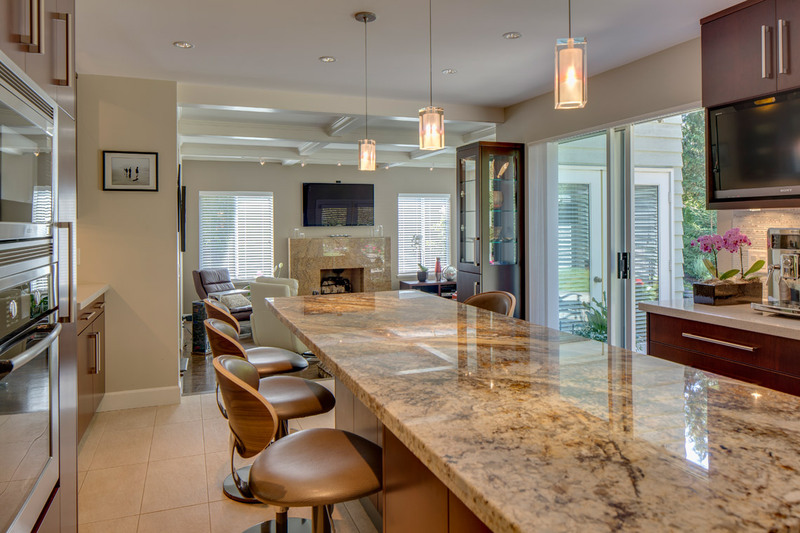 The island, now a showpiece, boasts a richly-veined slab of golden-toned granite and is a favourite gathering place for friends and family. 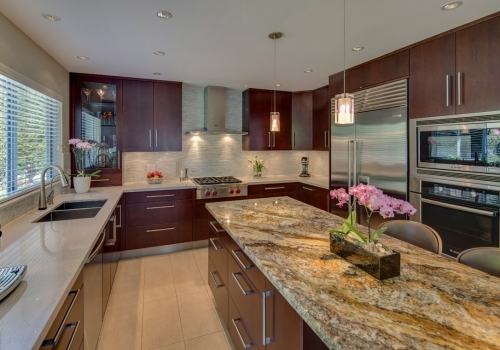 The perimeter Caesarstone countertop provides for plenty of work surface and convenient storage underneath. 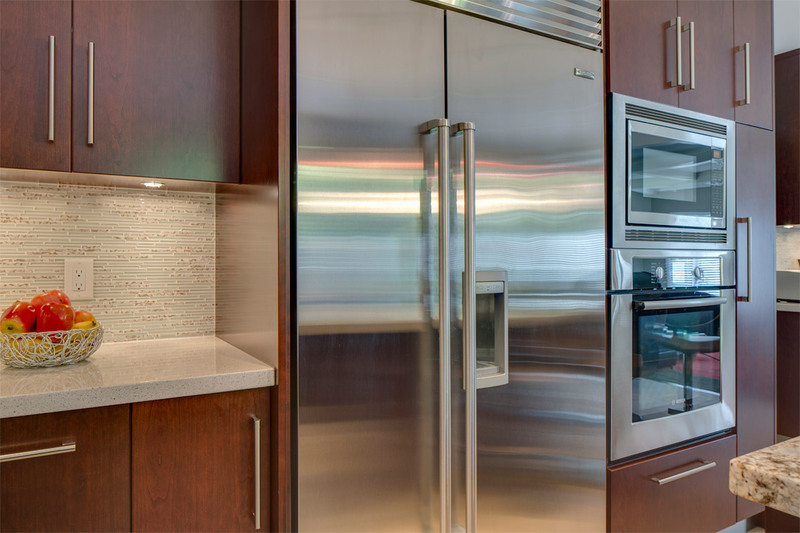 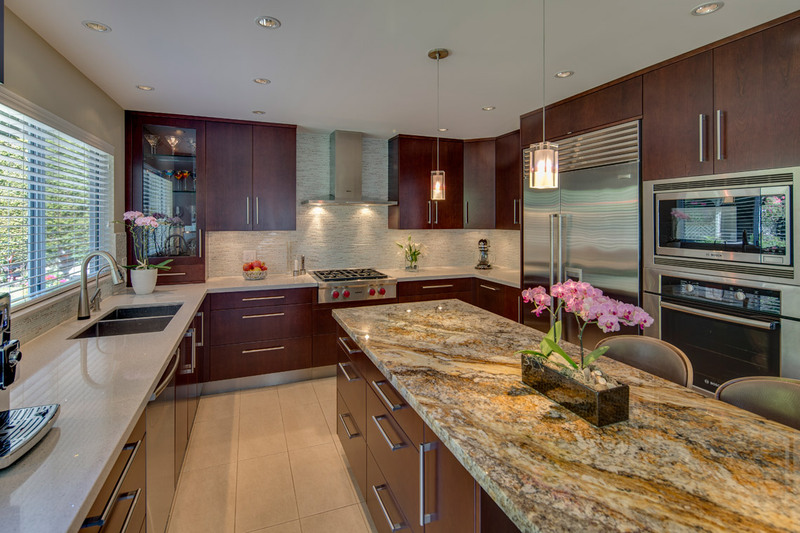 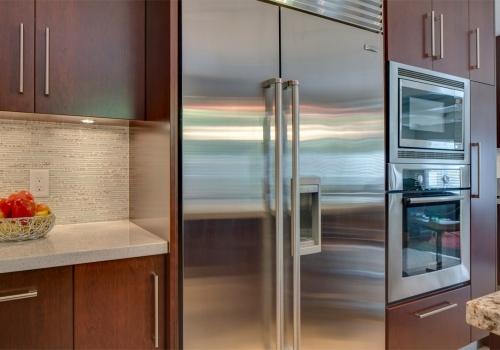 Our client loves the larger fridge, increased amount of display cabinets and the TV integrated into the space. 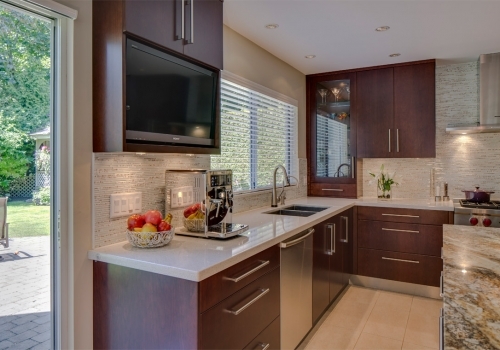 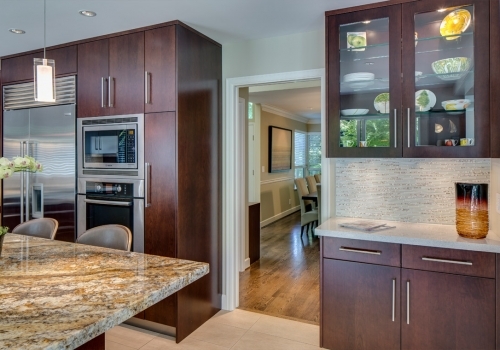 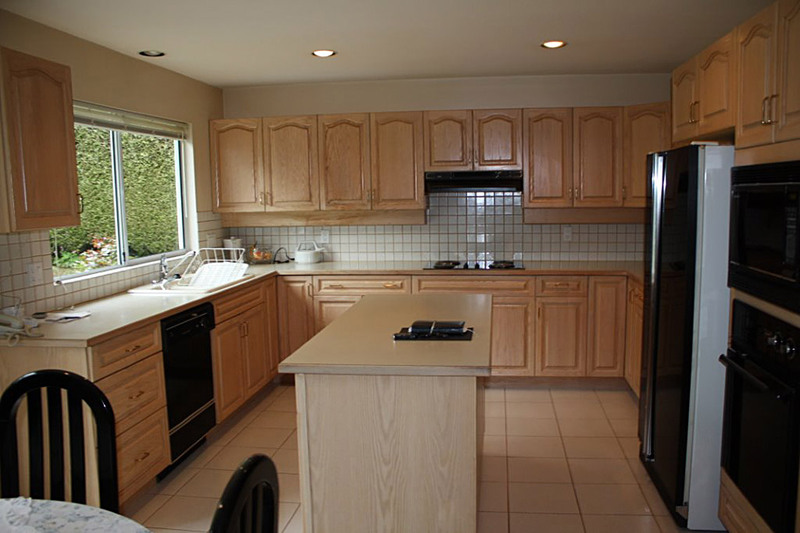 Custom-made, cherry-wood cabinets scribed to fit, minimizes the need for mouldings and results in a much cleaner look. 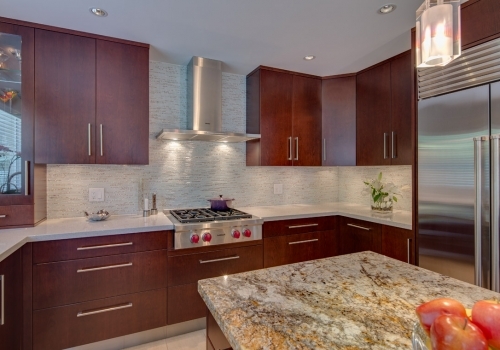 Sophisticated-looking glass tiled backsplash reflects the light and complements the dark cabinets.